The South African Association for Marine Biological Research (SAAMBR) is a non- government, not-for-profit organisation that was founded in the early 1950’s in response to a need for conservation of local marine resources. Sea World at uShaka Marine World. The Oceanographic Research Institute (ORI). The Sea World Education Centre. Management at uShaka Marine is proud to have built strategic partnerships with key stakeholders within the city's broader tourism sector such as Durban Tourism, Tourism KwaZulu-Natal and the KZN Film Commission. This business is also an important mentor to emerging businesses within its supply chain. Many of these are tenants who provide critical services such as catering, photography and entertainment. Others are retailers within Village Walk which supports approximately 72 businesses. This 10 000m2 boutique shopping centre averaging 99% occupancy in the past year, prides itself on its unique location, high percentage of owner-operators, and its regular new offerings which recently have included the Food Market (for small food traders) and the Craft Market, which incubates some ten to twelve small entrepreneurs, a number of whom have grown to become fully fledged shops in their own right. uShaka has an integral part to play in Durban's tourism offering in the future and will continue to drive growth of the Durban Point Waterfront Development and Inner City Development through working closely with the likes of the new Durban Cruise Terminal. Utilising a "recap model", assets will be continually upgraded and new and exciting attractions introduced via investments by its shareholders as well as public private sector partnerships. A total of R300 million is expected to be invested in uShaka Marine World over the next 20 years. uShaka is proud to have received clean audits for four consecutive years. Highlights worthy of a mention include the KZN Top Brands' Top Tourist Attraction 2015 (top 10), a Certificate of Excellence from Trip Advisor, Best Attraction at Durban Chamber of Commerce Tourism Awards 2014 and 2015, third place in the Sunday Times Generation Next (for the 6th consecutive year) and the company's CEO winning a Regional Business Achiever Award by The Businesswomen's Association of South Africa. Award by The Businesswomen's Association of South Africa. 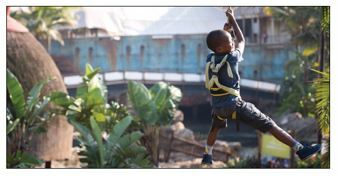 In 2017, uShaka was awarded, the Best Marine Experience by Lilizela Awards, the Number 1 attraction in Durban out of 118 by Trip Adviser and the Standard Bank KZN Top Business Award in the Tourism sector. Nature of Business: Marine conservation through research, education and animal exhibits. Services/ Products: Marine research and education. Conservation based entertainment. Physical Address: 1 King Shaka Avenue, Durban. Postal Address: PO Box 10712, Marine Parade, 4056. "Healthy coastal and marine ecosystems, rich in biodiversity, while providing people throughout southern Africa with safe and sustainable opportunities for economic development, healthy food and quality recreation." The sea is an environment which sustains many of our nutritional requirements, economic aspirations and spiritual, social and leisure needs. Our well-being on earth is inextricably linked to the sea. Today the sea is under threat of degradation and its living resources are extensively exploited in all but the deepest of oceans. We must awaken to an awareness of our marine world and the need for its care. If the sea dies, we die.